We can all use a little help from time to time navigating our way through this life. 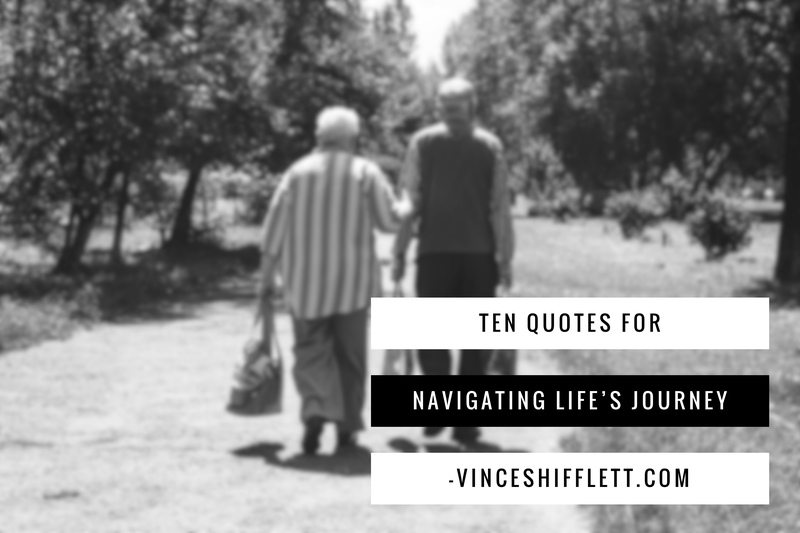 Here are 10 quotes I have been inspired to write that have helped me along the way. It is not about finding your way It’s about walking in it. The path is already there. Do you spend a lot of time pondering the right way to go in life? I know I do. Our intuition will always lead us in the right direction. Learning to listen to our inner guidance is sure to keep us on the right path. The path that is already there. We just get distracted at times. Take time out to just be silent and listen. That inner voice is always speaking but it seems we are seldom listening. There is a purpose meant for you right where you stand. You may not understand why you are where you are at this moment. Perhaps you are in an unhealthy relationship. Maybe you’re unhappy in your job. Maybe you even feel unsettled in the place where you live. You are exactly where you’re supposed to be at this moment. There is a purpose for you right where you stand. Discover that purpose. Learn that lesson. Then move on to where spirit is leading you. Embrace the beauty that you are. How many times do we find ourselves wanting to be something different from who we are? We want to be taller, shorter, bigger, or smaller. We want a bigger bootie, bigger breast, plump lips, smaller nose and the list goes on. Embrace who you are and express gratitude for your uniqueness. If you fail to see your beauty, no one else will see it either. When you truly fall in love with self, it becomes far less important whether others love you or not. You are enough. Fall in love with self and make yourself the number one priority. Stop taking the actions and words of others personal. The actions and words of others are not about you. It’s a reflection of who they are. Don’t take it personal. People will always have their opinion but it is just that. Their opinion. It does not necessarily represent the truth. When you’re a lover of what is, your suffering is over. It is about learning to accept people and situations the way they present themselves without judgment. It is about knowing that we are not in control of anything except our words and behavior. Embrace what is and adopt the philosophy, “it is what it is.” When I am able to do this, I find I have much less stress and much more peace. Do things for others expecting nothing in return. The best way to receive is by giving. The best way to elevate yourself is by elevating others. Random acts of kindness will always return to you when your intentions and motivations for giving are pure expecting nothing in return. Different doesn’t equate to wrong. Just because someone sees things differently than you doesn’t mean they are wrong. Let’s embrace our differences and see EVERYONE as the beautiful unique expression of God that they are. I have heard it said that, “just because someone is on a different path does not mean they’re lost.” It seems we live in a day when there is a lot of judgment towards others who are different than we are. Different is beautiful. Love knows no color, sexual orientation, political affiliation, or particular religious belief. Allow others to be who they are and learn to appreciate them. If we keep an open mind, there is always something to be learned from others. Love truly does conquer all. We are all one in the eyes of the creator. 10. When you are chasing something, the tendency is for it to run. Something being chased will automatically run. The more you chase, the more it will elude you. Stop chasing people and things. What is meant for you will come to you when you are ready. In the meantime, it is important to focus on self. That right person, right job, right place to live or whatever it is that you seek or desire is already there. It is waiting on you to be ready to receive. When you are ready, it will show up. Know that your journey is your journey. We all have our own individual path. Walk in it with pride and confidence. I have found that learning to embrace the uncertainty of this journey has given me more peace. Nothing is for certain not even our next breath. Just embrace that and live your best life now. Thank you so much for your love and kindness. Vince, for once I’m lost for words. This post hit the spot and I thank you for it. You? Lost for words? Laughing out loud. You know I appreciate you from the bottom of my heart also.